Holiday presents! If time weren't ticking away a little too fast before the big day, maybe we wouldn't be biting our manicured fingers so hard (OPI Here Today...Aragon Tomorrow if you wondered). So, here's ILWYW's Ultimate Gift Guide for 2010 (Round 1). Ready, set, go! The Mojave Clutch by Proud Mary ($60) is the perfect bag to add to any outfit you need to spruce up a bit. Perfect for lazy Saturdays at the farmer's market, or grabbing on your way out the door for coffee at Hope and Union. 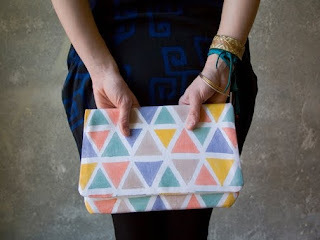 Plus (added bonus here) all of Proud Mary's designs are printed by a woman owned cooperative in South Africa. Brava! Perfect For : Your friend who despite wearing four inch stilettos will pick up litter off the ground no matter the time of day or night. A rite of passage to adulthood is owning real cocktail napkins (see also: discontinuing service of PBR at social gatherings). 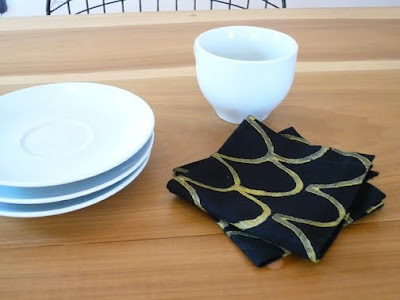 The Mamba cocktail napkins by Proud Mary ($30 for a set of 4) make fantastic Christmas or hostess gifts for the slew of holiday drop ins between now and the end of the year. Perfect For : Your friend who is constantly sending invitations for "Cocktails Before The Party!" and "Cocktails before the Show!" and "Cocktails Before We Go To Dinner To Drink More Cocktails! "...yeah, we all have one. Cocktail ring bling for the chic thing on your list. 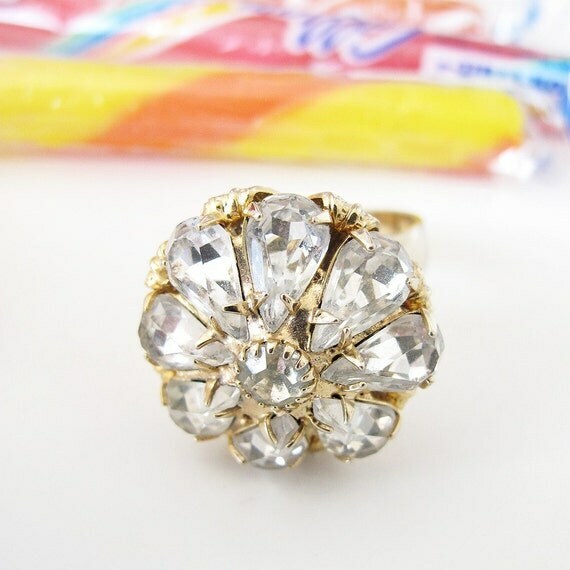 This Candy Shop Vintage rhinestone flower ring ($42) makes a statement all on it's own. Keep the rest of your outfit fairly simple when sporting this lovely finger statement to either nights on the town or days at the office. We're all for versatility here. 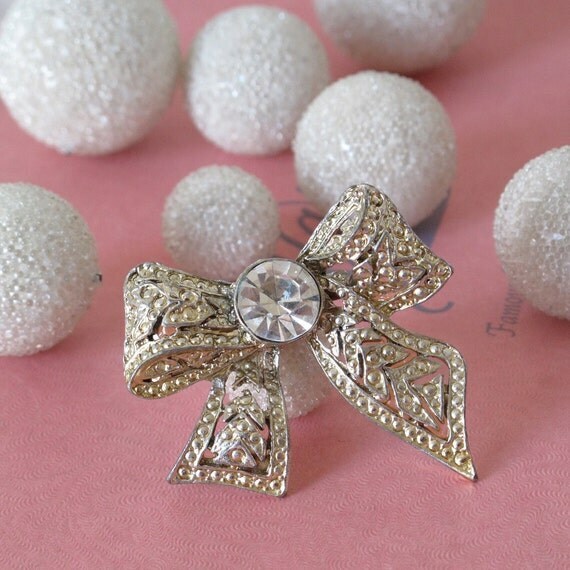 Perfect For : Your friend who seems to never have enough sparkle in her life, who always takes her lattes with an extra shot, and who would never step out of the house without an accessory. The Savannah Jean (now 50% off!) by Sucker Jeans updates Southern style to perfection. Dressed up or down this jean works well on nearly every body type. Plus, since it's a bootcut fit the Savannah jean makes for a style that works no matter your age. Added super bonus, make an appointment with the Sucker Jeans people and they'll not only bring jeans to your house to try on, but will make sure your jeans are just the perfect color and fit for you. Perfect For : The friend who lives in denim. Here's one for the boys. This Big Bear Tee ($29) at House of Sage, is a wonderful gift for the younger man in your life. Casual, but still put together...plus a little bit fun. Wear with dark wash jeans and a blazer when times call to look dapper, or with lighter wash jeans and a heavy wool coat for weekends. Perfect For : the man in your life who might need to let go of that tshirt from college, but still claims to be too young for oxfords.